SEARCHING FOR ICONS - Pseudo Science Museum --- "Get ready to believe just about anything." If the three Pseudo Sciences were represented by the Marx Brothers who would be what? Perhaps a bigger question would be "Where does Zeppo fit in?" If the three Pseudo Sciences were represented by the Three Stooges who would be what? 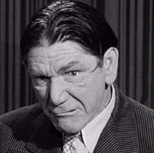 Perhaps a bigger question would be "Where does Shemp fit in?" Maybe what we needed to do was come up with individual images for each of the Pseudo Sciences. The first ICON that comes to mind when discussing Creation Science is the painting of the CREATION OF ADAM on the Sistine Chapel by Michelangelo. Obviously, because of possible religious connotations it wouldn’t make a very good ICON for creation science. Also the believers in the fastest growing religion on the Internet ~ The Church of the FLYING SPAGETTI MONSTER ~ have hi-jacked the painting for their own nefarious purposes. Boy have they got meatballs. Then we realized that most cool icons are animals and since many people don’t consider humans to be animals we probably would do best to find something in the animal kingdom. After careful considertation, our first choice for an ICON for CREATION SCIENCE is the OSTRICH. A native of Africa it was obviously created by someone with a sense of uniqueness. A bird that doesn’t fly. It can run really fast to escape its enemies. Popular myth has it that it buries it’s head in the sand. Some might say it does this so it doesn’t have to face the truth. Others might say “Ashes to ashes, dust to dust…it’s just trying to get back to it’s roots. It is famous for laying very large eggs and being “bird-brained.” Many serious scientists might also say that creationism doesn’t fly when it comes to science. Our first choice for an ICON for EVOLUTION would be the man who tried to make a monkey of us all, Charles Darwin. Actually, he didn’t try to make a monkey of ourselves --- the Creationists did. They’re the ones that started connecting Darwin and monkeys. Actually monkeys have tails. Looks like Darwin is an ape. Having four legs it is well grounded. Tortoises can live to be very old. It is willing to stick its neck out. If you remember the story of the tortoise and the hare, it was the tortoise that untimely won the race. Our first choice for an ICON for Intelligent Design is the Platypus. A native of Australia it was obviously designed by someone with a sense of humor. 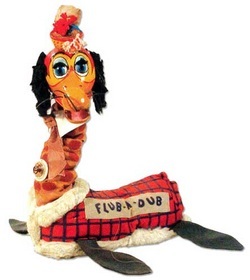 Come on, seriously folks, it has a duck’s bill, webbed feet, fur, lays eggs and a poison spur on it’s hind legs. When scientist first saw it they that thought it was a fake just like most serious scientists today think Intelligent Design is also a fake. The platypus turned out to be real and Intelligent Design is still being debated. He was operated by an invisible force. He is entertaining and was intelligently designed. There is no why he could have evolved from eight different animals. Alas, the Flub-a -Dub isn't a real animal so we're sticking with the Playpus as our INTELLIGENT DESIGN ICON. SO THAT IS WHY WE PICKED THE OSTRICH , THE TORTISE AND THE PLATYPUS TO BE PSEUDO SCIENCE ICONS.